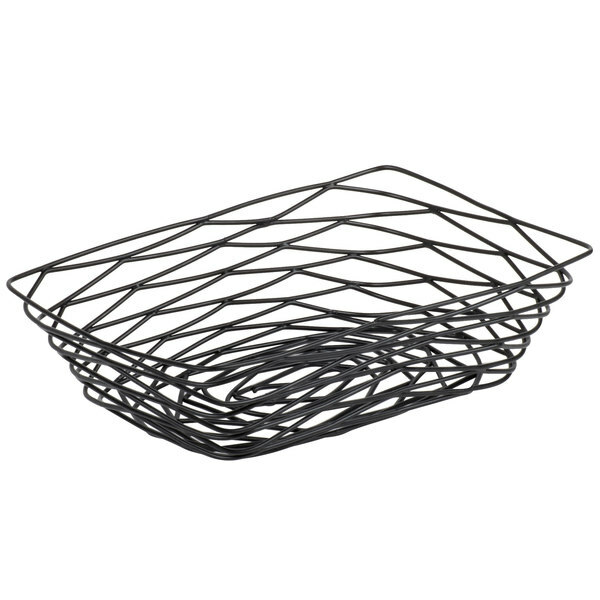 From the Artisan collection, the Tablecraft BK17209 rectangular black wire basket is powder coated for a durable finish and sleek design. 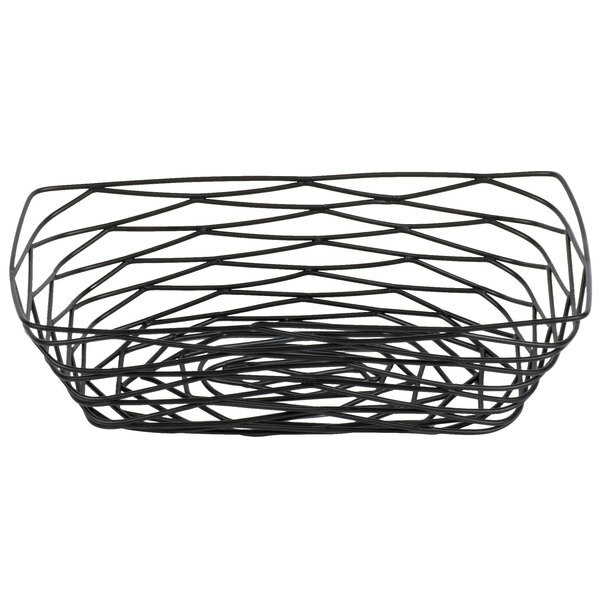 From the buffet to the tabletop, this modern design metal wire basket provides trendy versatility for any application. 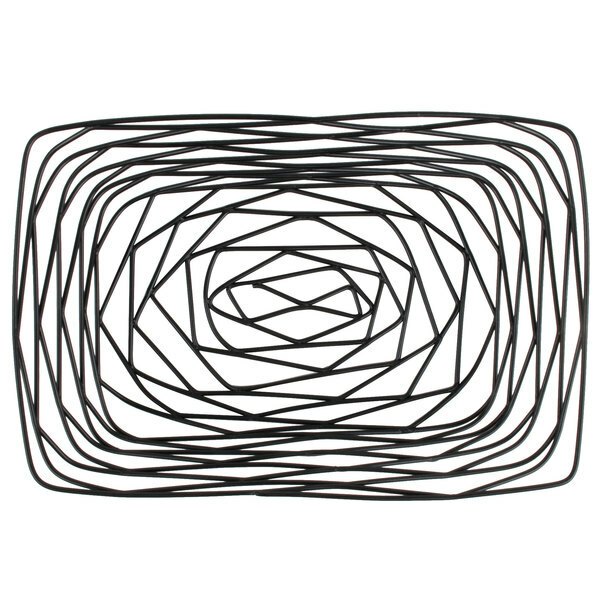 The Tablecraft BK17209 basket allows you to use your imagination. 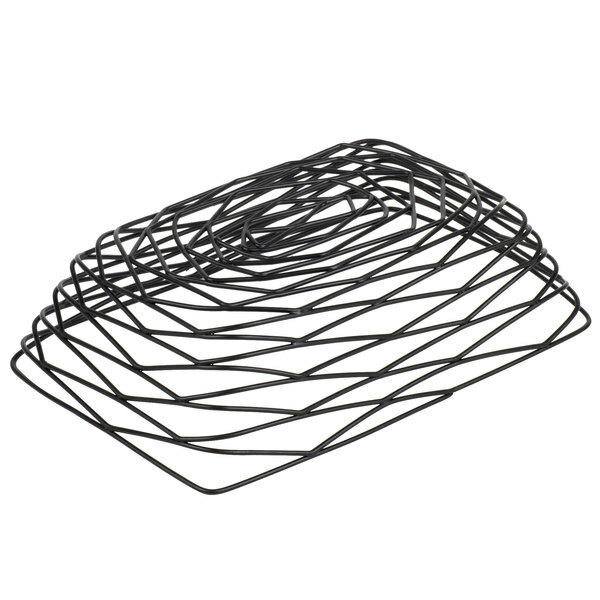 You can use this basket to serve bread, bagels, and pastries. You can showcase napkins, decorative soaps and towels. Choice 10" x 2" Aluminum Seafood Tray, 48 oz. 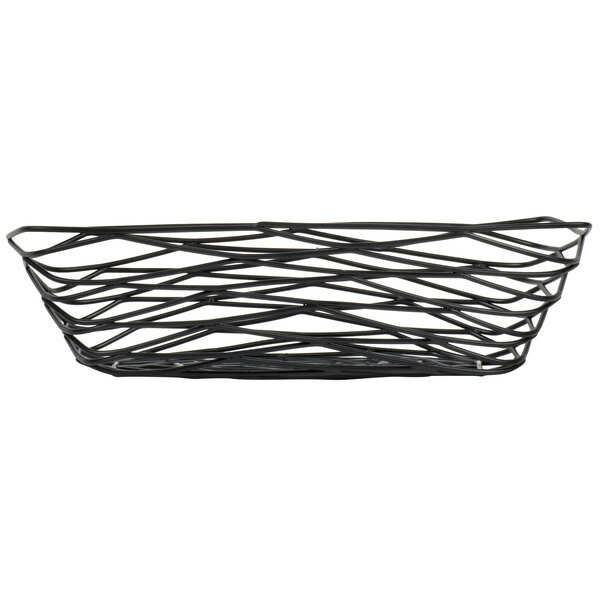 American Metalcraft BNBB91 Rectangular Black Birdnest Metal Basket / Riser - 14 1/4" x 7 3/4" x 1 1/2"
Overall User Rating: Tablecraft BK17209 Artisan Rectangular Black Wire Basket - 9" x 6" x 2 1/2"
These are just lovely little black wire baskets. They are a little on the smaller side--I wished I had measured a little more carefully as I probably would have got the next size up--but honestly they are beautiful in design, and you can tell they are good quality. Egads I love these baskets. Well made, sprays clean easily. 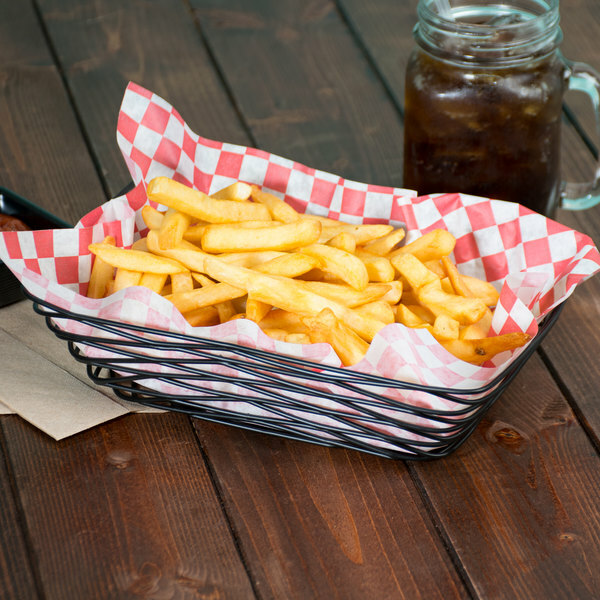 I use a liner and fill them with fries, egg rolls, beer cheese plate, kids plates, and other menu items. These are great for every day use. 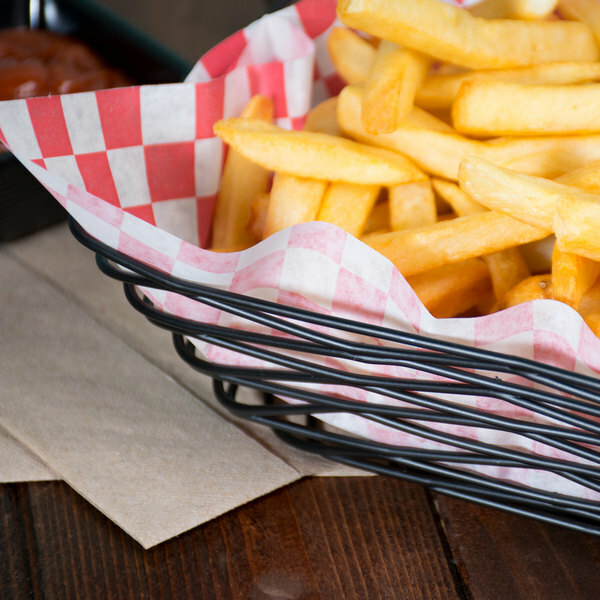 We use them for our french fry basket, onion ring basket, bread, rolls, muffins. The uses are endless and you can't beat the price.